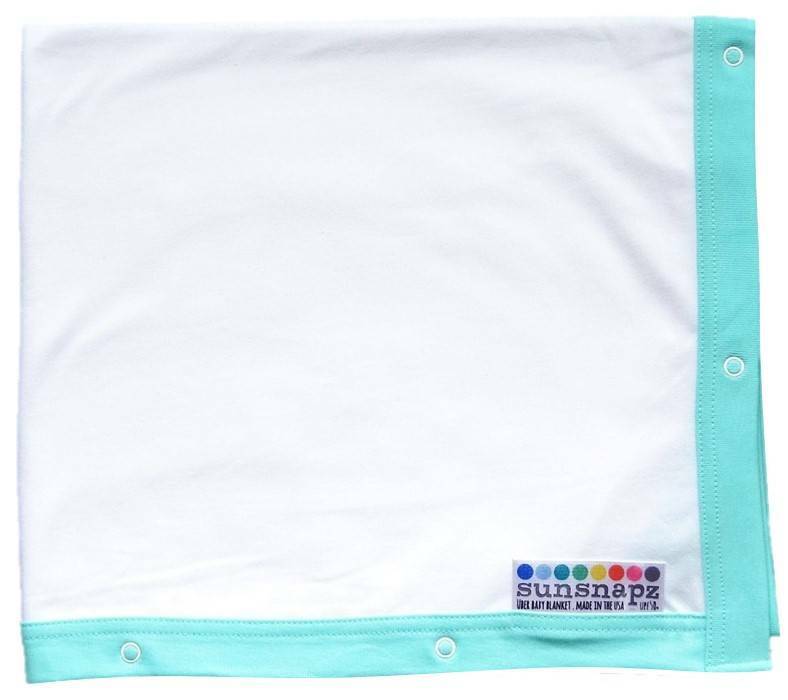 White Sunsnapz UPF50+ sun protection blanket with aqua blue binding and 8 pairs of “snapz”. 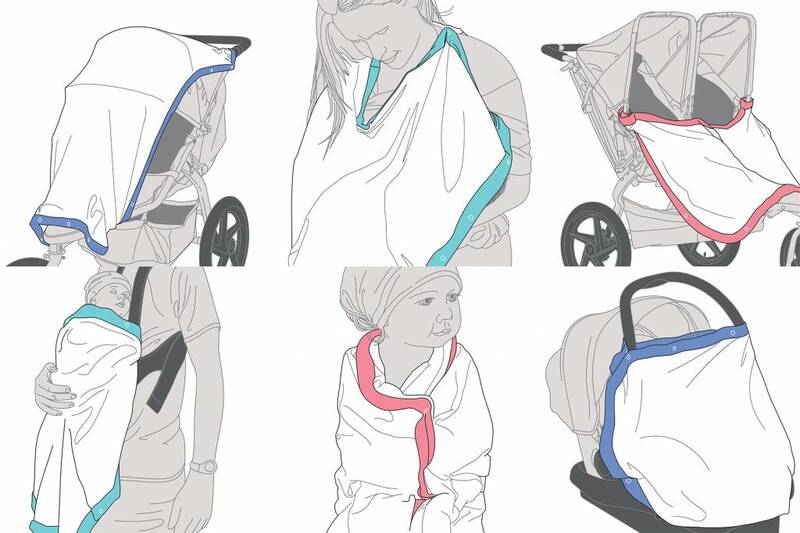 A perfect fit for single strollers, buggies & infant car seats or as a snuggly wrap. 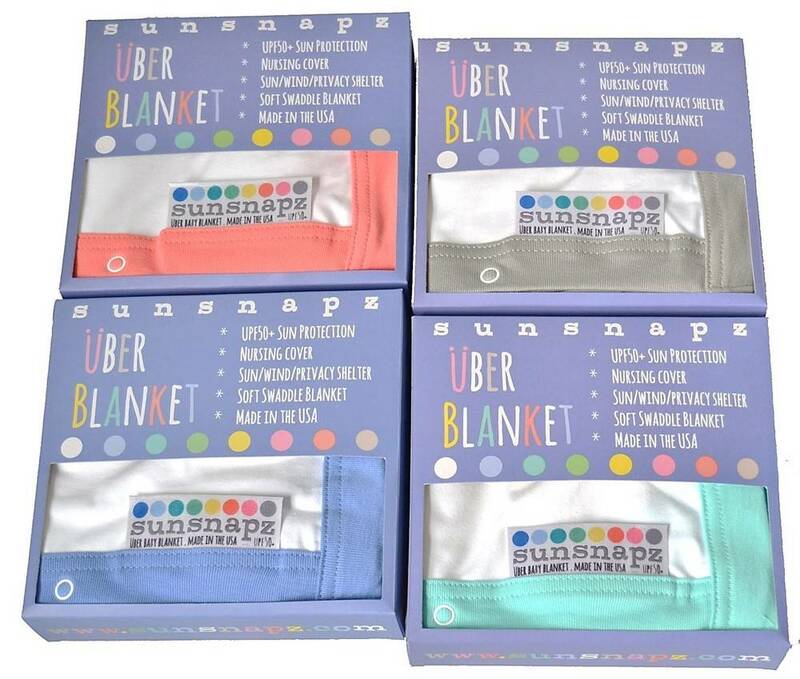 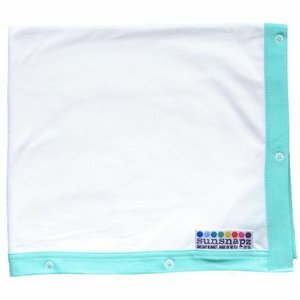 White Sunsnapz UPF50+ multi-purpose sun protection blanket with light blue binding and 8 pairs of “snapz”. 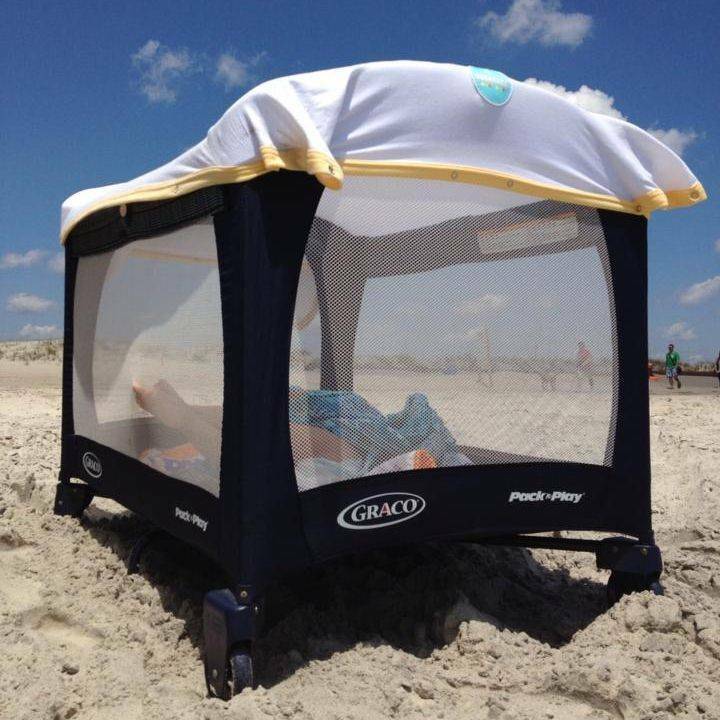 Perfect to securely cover your baby in almost any single stroller, buggy, infant car seat, or baby carrier. 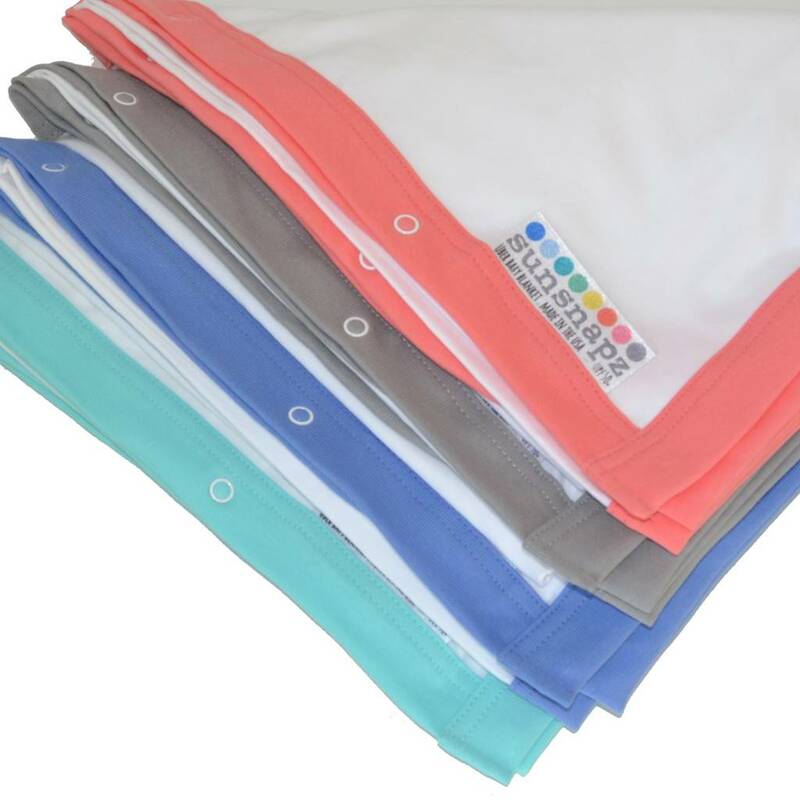 Lightweight, machine washable cotton provides cuddly soft UPF50+ protection from the sun's harmful rays. 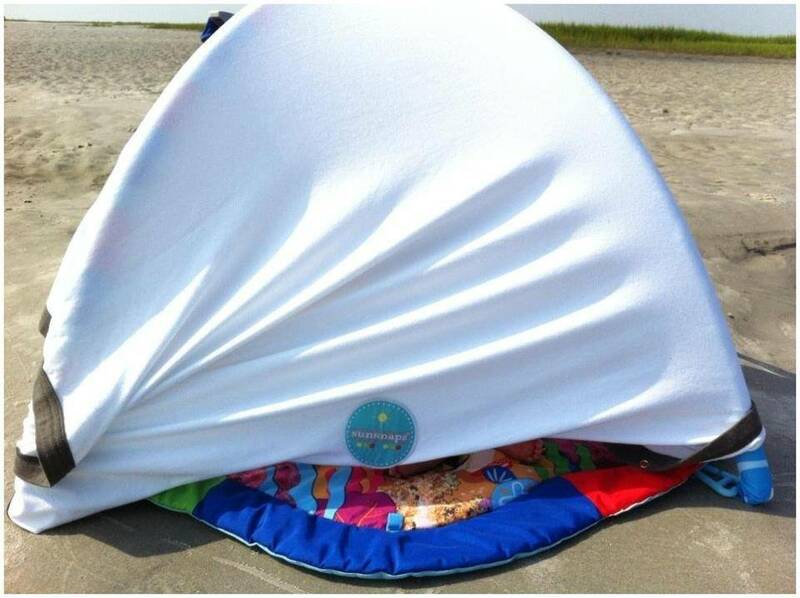 Sunsnapz sun protection blankets are available in 2 sizes: Midi (74x122cm) & Maxi (91x147cm).